This is a placeholder update. 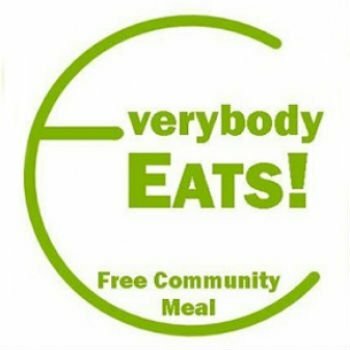 The “Everybody Eats” Community Meal is wonderful gathering open to everyone in Davis. It is a free meal that draws quite a crowd the first Sunday of each month at 11:45am in the DCC Fellowship Hall. Housed, un-housed, rich, poor, young, old… you name it, they’re there. Come and check it out. It’s a wonderful, love-filled event! Donations are gladly accepted, but not required. Fridays at noon we will provide a family style, healthy lunch at tables followed by an optional offering of Communion. We are collaborating with Rev. Steve Smith (Grace-in-Action), Hazel Watson (from our Presbytery) and Christ Church (reformed). There are a few ways you can help! Providing food is our biggest need. Would you consider adopting a Friday? Think of the groups you are in and join with some friends or family to provide all or part of a meal. Let us join together and help care for all who are hungry in our community. 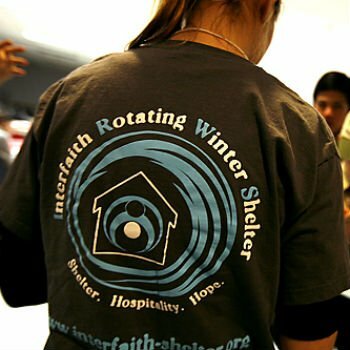 The Interfaith Rotating Winter Shelter of Davis (IRWS) is a community based-effort enabling member congregations to provide cold-weather shelter and hospitality on a rotating basis to persons who are homeless in the Davis community. It began in 2007. Local houses of worship open their doors to people in need of shelter, with a maximum capacity of 25-40 persons, based on location. It does not require shelter guests to be clean and sober, but they must not pose a threat to the shelter environment. The shelter rotates to a new church each week. It operates from the weekend after Thanksgiving for 14 weeks. This winter’s schedule and all other details are available at the city of Davis website http://cityofdavis.org/city-hall/city-manager-s-office/housing-and-grants-management/affordable-housing-program/emergency-housing-shelter/cold-weather-shelter-information or at the IRWS website https://interfaith-shelter.org/. 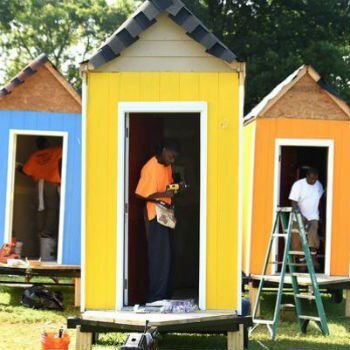 Davis Opportunity Village – DOVe for short (it takes a village to house the unhoused) is a non-profit serving Davis individuals living homeless. Its mission is to provide low cost village micro-housing and to advocate for services for those living homeless in Davis. The DCC Growing Project enables members of the Davis community to grow and harvest organic sweet corn and harvest olives to make olive oil as a way to help end world hunger. The DCC Corn Growing Project supports the Foods Resource Bank (FRB). As a Christian response to world hunger, FRB links the grassroots energy and commitment of the U.S. agricultural community with the capability and desire of small farmers in developing countries to grow lasting solutions to hunger. FRB’s work around the world is largely funded by growing projects like ours. Involvement in the group is not limited to those affiliated with Davis Community Church. 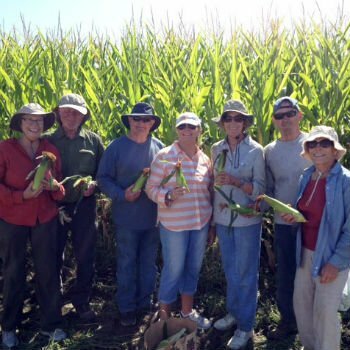 All in the community are invited tovolunteer their time–helping to grow, harvest and sell the corn–and make a donation in exchange for some tasty sweet corn come harvest time. Many thanks to the generosity of Fritz Durst Farming for their donation of farm land and expertise to make this venture possible. 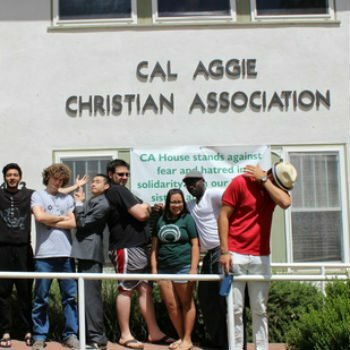 The Multifaith Living Community (MLC) at CA House is a unique living environment for 40 students who seek to live in ways that honor others and the earth. Students of all faiths, or no faith, are eligible to apply. The community consists of 6 townhouses situated around a central courtyard on the Cal Aggie Christian Association property directly across from campus on Russell Boulevard. Construction in the MLC has utilized many green building features, and residents are encouraged to take advantage of our proximity to campus and downtown by using alternative modes of transportation. Bike parking is available for all residents. 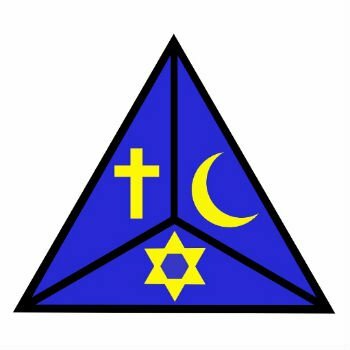 Formed in response to the tragic events of September 11, 2001, the Celebration of Abraham’s objective is to increase understanding in Davis and Woodland among the faiths which revere Abraham – Judaism, Christianity and the Muslim faith. The Celebration is dedicated to increasing knowledge and respect among all religious traditions. 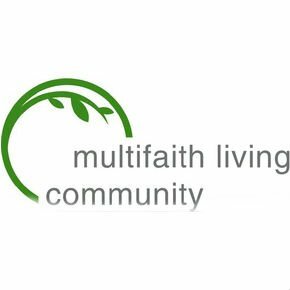 At annual community meetings and interfaith dinners, participants learn about one anothers faith. 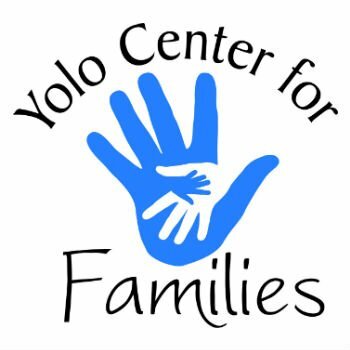 Davis Community Church and the Yolo Center for Families entered into an exciting partnership in the fall of 2013! In addition to providing rent-free space out of which the Center for Families/Empower Yolo can offer services and programs to the entire Davis community, the partnership also relies on programmatic and volunteer support from Davis Community Church. With the joining of the two organizations, Empower Yolo and Center for Families (2015) we have entered into an vibrant collaborative relationship with the entire programs of the D Street House. Our current representative to the board of Empower Yolo/Center for Families is DCC’s own Dennis Dahlin. 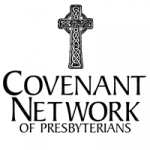 Our committee for partnership includes Jennifer Anderson Begun and Elisa Stone, Minister of Congregational Care, DCC.